Jimmer is a current professional pitcher for the Sioux City Explorers of the American Association. Former pitcher for Brockton Rox of the Independent Can-Am League. He is rated the #10 independent baseball prospect by Baseball America for 2011. Coach Kennedy was a four year starter at Division 1 Rider University and was the Bucks County Player of the Year while attending Holy Ghost Prep. Falls American Legion Post #834 'Player of the Year 2003'. Pennsbury High School varsity starting catcher 3 yrs. York College catcher 2005-2009. Mercer/Bucks Red Sox Collegiate team 2004-2009, starting catcher, .316 batting average, World Series 2005, 2006. Justin has been teaching baseball to young players for over 10 years. 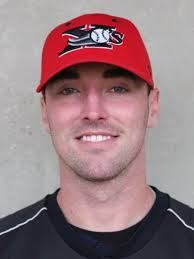 Current professional pitcher for Joliet Slammers of the Frontier League. 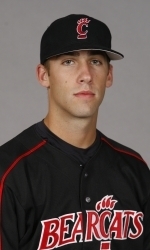 Freshman All-American at University of Cincinnati, 1.93 ERA, 7 -- 1 record (2010). Graduated Holy Ghost Preparatory School. Experience coaching youth in Bucks County, as well as camps.